Seeing The Post in Lisbon With People Who Truly Understand What Freedom of the Press Means | What Next? We saw the movie The Post in a large packed theatre in Lisbon. The film was in English with Portuguese subtitles. It tells the true story of how President Nixon tried to stop American newspapers from printing information from the Pentagon Papers- stolen documents that revealed a government cover up of damning information about the Vietnam War. The Washington Post published stories using Pentagon Paper materials even though the President threatened legal action, including possible imprisonment of The Washington Post editor and owner. I intitially wondered why so many Portuguese citizens,many of them my age, were so interested in a movie that was essentially about freedom of the press in America. As I thought about it I realized they were probably interested because they could identify. Antonio Salazar’s Estado Novo political party held power in Portugal from 1932-1974. Salazar appointed a goverment censorship committee that strictly controlled all forms of media including newspapers. A revolution in 1974 ousted the Estado Novo party and full freedom of the press was restored. People in Portugal my age can identify with The Post because in their country’s recent history they have lived both through times of complete supression of the free press and complete freedom of the press. 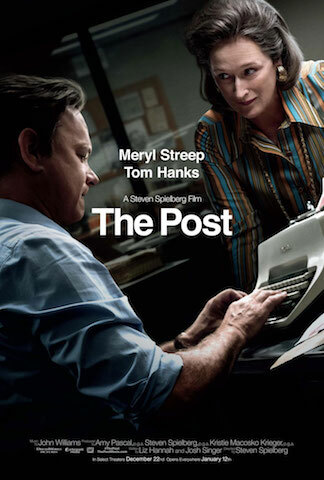 The Post is considered a particularly timely film for 2018 when the American President is repeatedly attacking the freedom of the press in his country. According to a rating scale on a website called Reporters Without Borders Portugal actually has a freer press now than the United States. Interesting how the country in which you watch a movie can add meaning to its message.